Startling discovery: Have scientists cracked the mystery of the Bermuda Triangle? A new study may have an answer behind the mysterious disappearances that characterize the Bermuda Triangle. It’s perhaps one of the most legendary mysteries on the planet — what happened to all those ships and planes that have disappeared in strange circumstances in the Bermuda Triangle? Scientists think they may have an answer: gigantic methane gas bubbles. 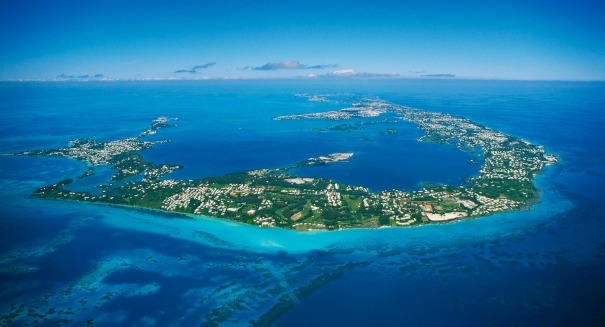 The Bermuda Triangle is a wide expanse of ocean between Miami, Puerto Rico and, of course, Bermuda. For decades, it was difficult to explain how certain ships and aircraft had become lost at sea, with no indication of what had happened to them. Now, the discovery of underwater craters at the bottom of the Barents Sea off the coast of Norway may provide a clue, according to a Business Standard report. This area is of course nowhere near the Bermuda Triangle, but the craters are intriguing because of how they were created: by a methane buid-up in the sediments off the Norway coast, which then “pops” through the sea bed and heads for the surface. The craters are huge, measuring more than 2,000 feet in width and stretching more than 100 feet below the surface. This is an indication that there was a huge blowout of gas bubbles, which could easily cause ships to sink. It’s an intriguing discovery, because the Bermuda Triangle certainly could be creating these huge bubbles of gas. Such tremendous amounts of gas could displace ships at sea, sending them to a quick watery grave, and it could also knock out the systems of planes up above. The findings will be unveiled at the annual meeting of the European Geosciences Union next month.